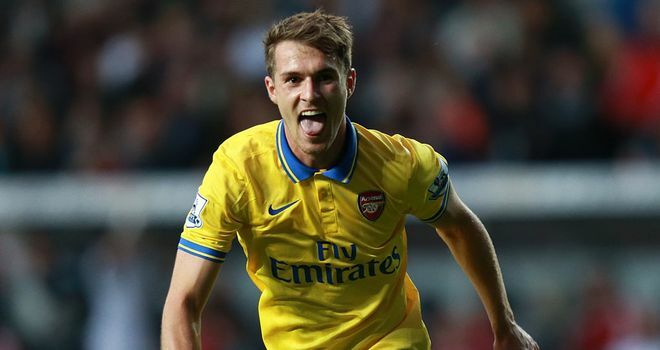 A Statistical Review of Aaron Ramsey’s Performances: The New Vieira? The Premier League fixtures of Gameweek 6 had more twists than a pig’s tail and more turns than a merry-go-round. It all began with a pulsating encounter between one of the Premier League’s emerging sides, Tottenham, with a proud defensive record and they took on Chelsea but in the end, Gyifl Sigurdsson’s strike was cancelled out by John Terry’s glancing header. Up stepped the Manchester giants against teams you would expect them to beat seven days of the week but the shock results proved once again that there are no pushovers in the world’s most exciting league, as West Brom grabbed all three points in the Theater of Dreams while Aston Villa showed great resilience to fight back from deficits to put the game beyond doubt. Luis Suarez made his long-awaited return from his biting chronicles and capped it up with two goals. At Arsenal, things are going on well on the pitch after that embarrassing defeat to Aston Villa, as the Gunners are certainly setting the pace in the Premier League with 15 points after notching up five straight wins. In Europe, the Gunners eased past Fenerbahce in the qualifiers before winning Olympique Marseille in the first Group Stage fixture. The kids of the Capital One Cup also prevailed, albeit on penalties, against West Brom. A player that has been instrumental in Arsenal’s rich vein of form this season is Aaron Ramsey, that has scored eight goals thus far in his numerous games for the club this season, his best goalscoring tally in a top-flight campaign. His first three goals were scored in the two-legged affair with Fenerbahce, He followed this up with a brace against Sunderland, scored the match winner against Marseille, the match opener against Stoke and another match clincher against Swansea making him indispensable to the team. “Ramsey is their go-to man at the moment. He was outstanding again against Swansea and certainly in the second half, he drove the team on. “Last year when he got into those areas, would he be driving forward? I really doubt it. He would probably back up the play. “This year, he wants to carry on. He desperately wants the ball & I felt all game he was the player they looked to all the time. “When I used to play against Arsenal, I always used to think about Vieira. Whenever they were in difficulty, the first thing they would do is pop it into Vieira, because they knew there was a bit of safety and a bit of calmness about his game. According to WhoScored*, Ramsey’s defensive side is quite impressive, as he has made 33 tackles (averaging 5.5 per game), which makes him one of the highest tacklers in the League. He also has 10 interceptions (1.7 per game), committed 12 fouls (2 per game), made nine clearances (1.5 per game) and he has blocked three shots. His offensive side is commendable, as he has notched up four goals in six Premier League appearances (eight in total), two assists, a total of 14 shots (averaging 2.3 shots per game), eight dribbles (1.8 per game), attempted 456 passes (with 87.5 percent pass completion), 31 long balls (3.5 per game) and eight through balls. Ramsey has worked very well on his technique and his confidence has been a massive factor in his performances this season. Despite starting every game in the holding midfield role, Ramsey strays forward from time to time like a box to box midfielder and his finishing has been clinical. He hardly gets much chances in the games he plays but he has matured to keep a cool head in front of goal and he even has more goals than Olivier Giroud, Arsenal’s alpha-dog in attack. Like Vieira, Ramsey has improved on his defensive side and he pops up in the box to finish good team moves. We all hope that he continues this good form, as it can only get better from here. 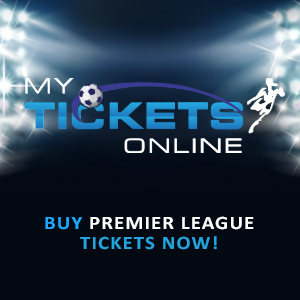 To nominate goonerdaily.wordpress.com as the Best Sports Blog (section 23) for the 2013 Nigerian Blog Awards, please click here. In a rather surprising weekend of Premier League football that started with Tottenham and Chelsea sharing the spoils of an intense London derby, the Manchester clubs rolled over against opposition you would expect them to steamroll past, which meant that Arsenal had the chance to go back to the summit of the table with a win against an in-form Swansea side in Wales. Canas and Jonjo Shelvey tried to draw first blood with tame efforts and Arsenal had efforts from Per Mertesacker and Aaron Ramsey. Ramsey almost put his team in a rather precarious situation when his heavy back pass which wasn’t controlled adequately by Wojciech Szczesny and with Miguel Michu charging down at the goalie like a raging bull, the Pole tried to attempt a dribble but the ball was blocked and went beyond the goal line for a goal kick. There was an injury concern for Giroud but a late surge from Serge Gnabry saw the youngster take on all comers before sending Olivier Giroud through but the striker’s shot was wide off the mark. The second half began with a weak Gnabry shot from a Mesut Ozil pass but Gnabry wasn’t going to be denied a second time after some intricate passing play between Giroud, Ozil and Ramsey saw the young German through on goal and he drilled his effort past Michel Vorm to score his first goal for the Gunners. Arsenal launched a counter attack and Ramsey covered a lot of ground with the ball before threading a perfect through ball to Ozil. The German schemer had all the time in the world to pick his spot but his shot was straight at Vorm which was parried away for a corner kick. Arsenal doubled their money shortly afterwards, when Ramsey teed up Wilshere that did well to win a challenge before feeding Giroud. The Frenchman wasted no time in executing a neat one-two with Wilshere, then he fashioned a chance for Ramsey that had a touch before slamming the roof of the net with a piledriver. In the space of four minutes, the Gunners were two up and the fans in the away stand of the Liberty Stadium made their voices heard, as the “Aaron Ramsey, he scores when he wants” chants reverberated around the stadium. Nathan Dyer was afforded a chance at goal and fired a rasping shot to Szczesny’s far post but the Pole made a great save. Wilshere almost gifted Swansea a chance back into the game when he shockingly fed Wilfried Bony with a chance but the Ivorian’s shot was blocked by Szczesny on his near post. The keeper voiced his frustrations on Wilshere after making the save. Wenger removed a clearly jaded Gnabry for Mikel Arteta to add some steel into the midfield. The Gunners had another chance to go three up but Mertesacker nodded Ozil’s free kick wide. Late on, Ben Davies gave a pass to Bony and continued his run but the Ivorian forward stunned Arsenal’s defense with a brilliant over the top pass that was finished aplomb by Davies, to give a nervy end to the game. The Swansea players and fans went berserk when Bacary Sagna fired his clearance into Mathieu Flamini’s hands but the ref was having none of it, as he didn’t deem it enough to warrant a penalty for the home side. The manager made two more defensive substitutions as Nacho Monreal and Carl Jenkinson came on for Ozil and Wilshere. The Gunners held on to another famous win to continue their impressive away run of consecutive victories to 12 games. The victory also sent them to the summit of the log table. Szczesny (8) had a solid game and dominated his area by plucking out a lot of lofted balls into his box. Sagna (7) balanced his attacking and defensive play superbly. Gibbs (7) didn’t threaten much offensively but he was solid at the back. Koscielny (9) was a colossus at the back, making interception after interception, ensuring that Michu had a bad day in the office. Mertesacker (7) had a good game but his lack of athleticism was exposed as it took him an age to turn when Bony’s ball went over his head. Flamini (8) continued his dirty work in midfield and got a booking for his troubles. He’s taking his “unfinished business” rather seriously. Ozil (6) was a bit overwhelmed by the game and would be utterly disappointed for the clear-cut chance he missed. Gnabry (8) put up a wonderful shift after playing 120 minutes of football in midweek. That goal must have done wonders to his confidence. Wilshere (7) was industrious in midfield and battled hard for his team. Giroud (6) bar his assist to Ramsey, he struggled a lot in the game and looked a bit off the pace. Maybe he’s fatigued. Arteta (7) added solidity to the midfield after replacing Gnabry. Arsene Wenger celebrated his 17th anniversary with the club win three massive points that has sent him clear of Tottenham. He was pleased with the performances of his lads and with some inured players returning, all focus will be fixed on the Champions League encounter against high-flying Napoli on Independence Day. To nominate https://goonerdaily.wordpress.com as the Best Sports Blog (section 23) for the 2013 Nigerian Blog Awards, please click here. Swansea vs. Arsenal Preview: Can the Impressive Away Form Continue? Can Arsenal keep him at bay? The last time both teams played competitive football, they both featured weak squads in the Capital One Cup. Arsene Wenger fielded a special blend of experience and youth but he still had to rely on the lottery of penalties to seal an enticing fourth round fixture against Chelsea. Swansea on the other hand, weren’t so lucky with their overhauled squad, as they crashed out of the competition following a 3-1 surprise defeat to Birmingham City. In the Premier League, Swansea is currently on ninth place after five games, and they are level on points with Manchester United, Hull, Stoke and Newcastle. To be fair with the Swans, they have already faced Manchester United, Tottenham and Liverpool this season, losing to the first two clubs in the aforementioned list but they salvaged a draw against Liverpool in their last home game, with Jonjo Shelvey grabbing the headlines for more reasons than one. Going into this weekend, they had the best pass completion rate in the Premier League this season (87.3%) and with victories over West Brom and Crystal Palace, Michael Laudrup’s side are finding their feet and Arsenal has to be mindful about the fact that they have scored the earliest goals this season with Shelvey scoring Liverpool after 87 seconds and Miguel Michu scoring Palace after 80 seconds. Swansea’s greatest threat against the Gunners will be the man that scored three goals in three games against them last season, Michu. Following his impressive start to his Premier League career last season, Michu has already scored two goals and he has had his fair share of assists as well, making him a creative force for Swansea. Michu has created 12 goalscoring chances this season already and he has the most shots (18) from open play for Swansea. Arsenal on the other hand, would hinge their hopes on the goalscoring forms of Olivier Giroud and the Welsh Dragon that’s returning home, Aaron Ramsey. The midfielder has a little thigh injury but the manager has confirmed that he will be fit for the game. Ramsey has made 387 passes this season with a pass completion percentage of 89 percent. He also leads the club’s goalscoring charts with seven goals in eight games, which is hugely impressive. Last season, Aaron Ramsey scored one goal from 46 shots in the league. In 2013-14 he has so far scored three league goals from 12 shots and has seven goals in all competitions. To injuries, Swansea are sweating over the fitness of their captain, Ashley Williams, as he’s currently nursing an ankle injury and he remains doubtful for the game. However, they will be without winger Pablo Hernandez, that is still out with a hamstring injury. At Arsenal, the usual suspects Arsenal: Rosicky (hamstring), Sanogo (back), Cazorla (ankle), Oxlade-Chamberlain (knee), Podolski (hamstring), Walcott (abdomen) and Diaby (knee) are still out, but the Czech maestro could be in line for a timely return against Napoli. To team news, I expect Wojciech Szczesny to return in goal with his usual defensive rearguard in front of him, as Kieran Gibbs and Bacary Sagna would man the fullback positions while Laurent Koscielny would replace Thomas Vermaelen to play alongside the ever-present Per Mertesacker. Arsene Wenger will have some problems in midfield as the absence of Theo Walcott, Santi Cazorla and the Ox will ensure that he has to play one of his versatile midfielders out of position on the right wing. Serge Gnabry played when Walcott pulled out of the Stoke game but his performance in midweek has clearly shown that he’s not ready to make that step up required of him. With this in mind, Wenger would probably start Mikel Arteta and the fit-again Mathieu Flamini in the middle of the pack, while moving Aaron Ramsey to the creative hub of the team. With Ramsey’s confidence in front of goal, he certainly wouldn’t mind playing here. 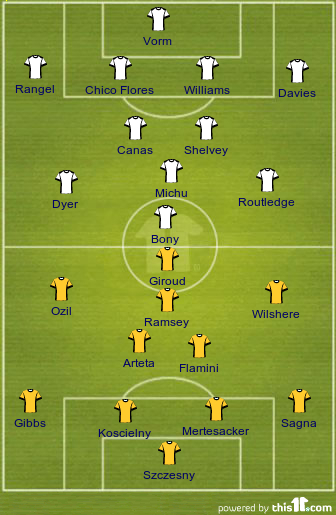 This would mean that Jack Wilshere could start on the right while Mesut Ozil would man the left flank. Ozil has created more chances (10) in two Premier League games than any Manchester United player has done all season. Giroud would lead the line. The Gunners are looking to extend their club record of consecutive away wins to 12 and they have have lost only two of their last 21 Premier League games. (W16, D3, L2). The million pound question would be – can the impressive away form continue? Predict the scores of the game and send your results to competitions@canoncrested.com, and you stand a chance of winning amazing prizes.